Weight Watchers scales by Conair know that monitoring weight can influence successful long-term weight loss. 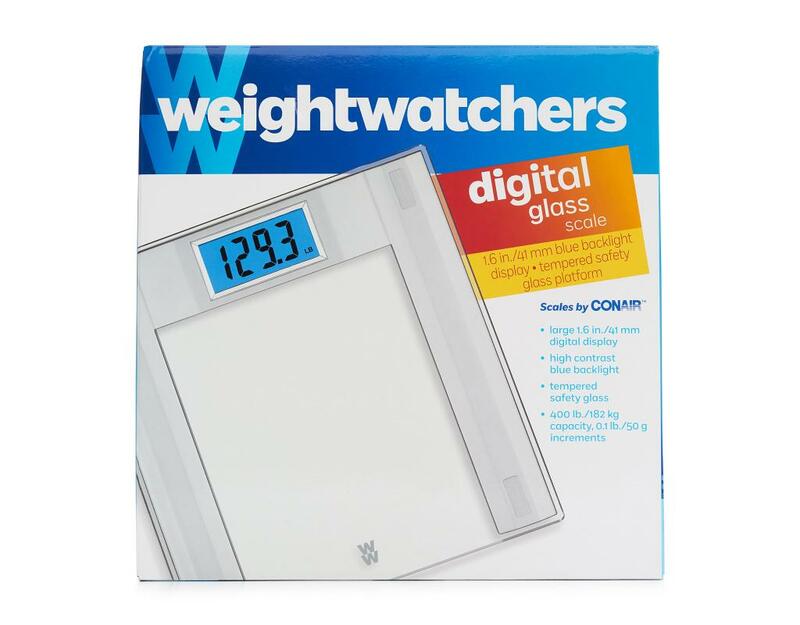 That's why they're bringing you a digital tool for monitoring your weight, engineered to the highest precision standards. 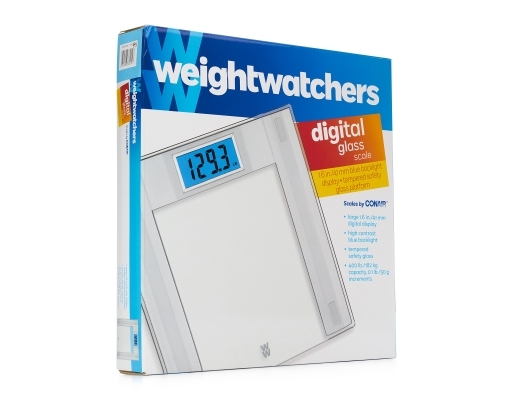 The latest technologies available are used in this consumer scale to offer you the most accurate measurements possible. Weight Watchers scales keep you in the know, whether you are losing, gaining, or maintaining your weight. 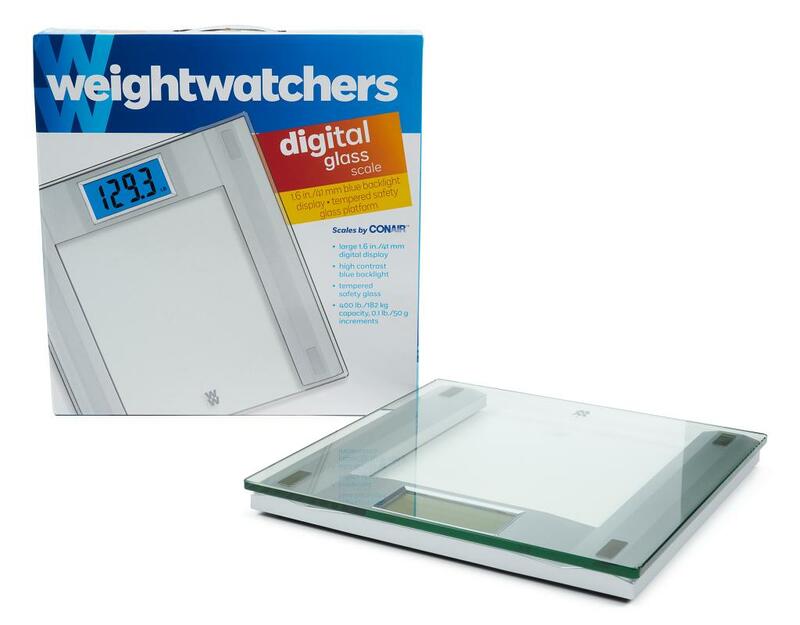 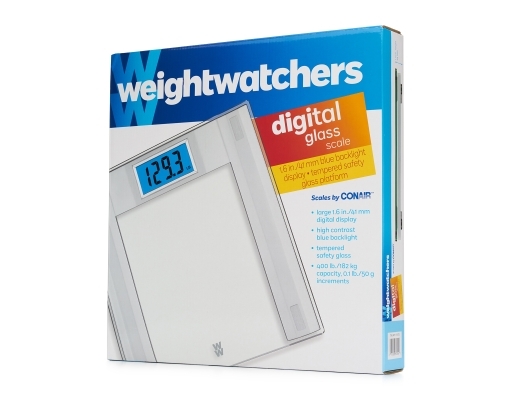 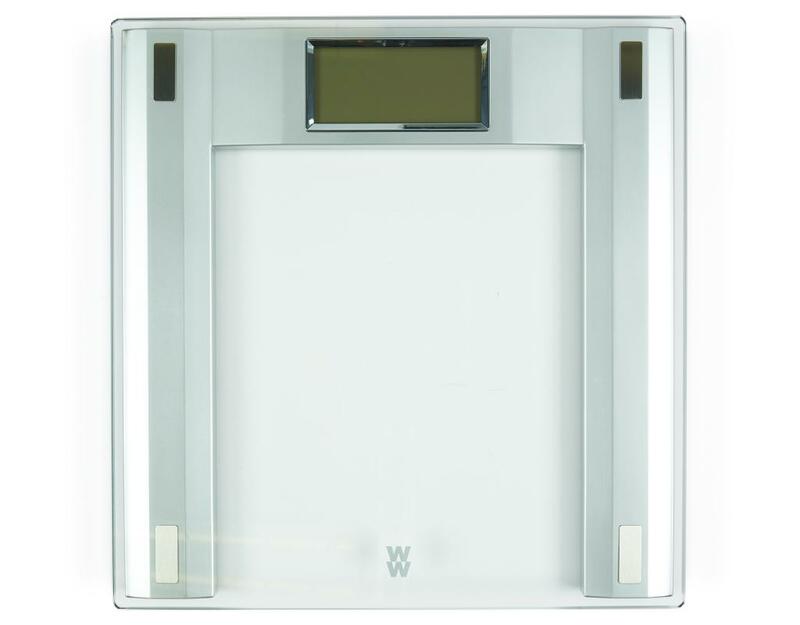 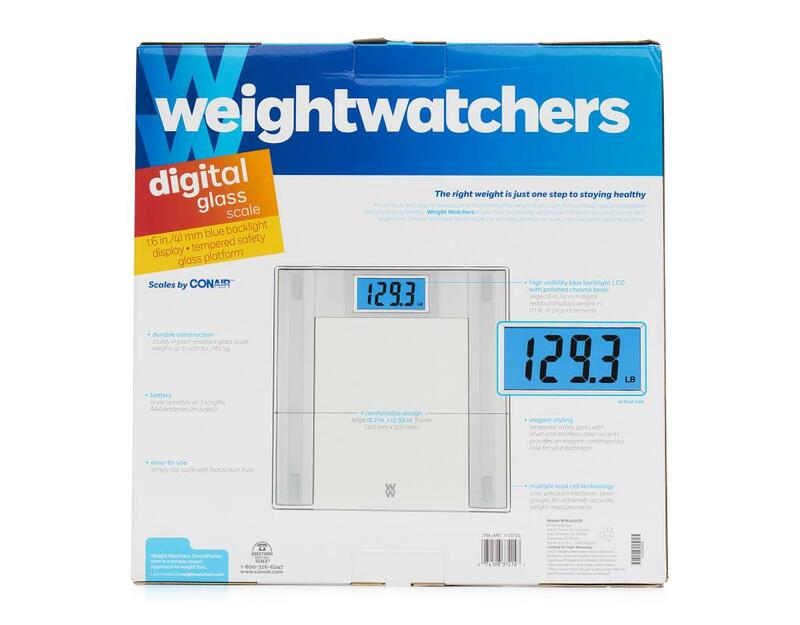 This Weight Watchers scale by Conair features a contemporary glass and silver look. 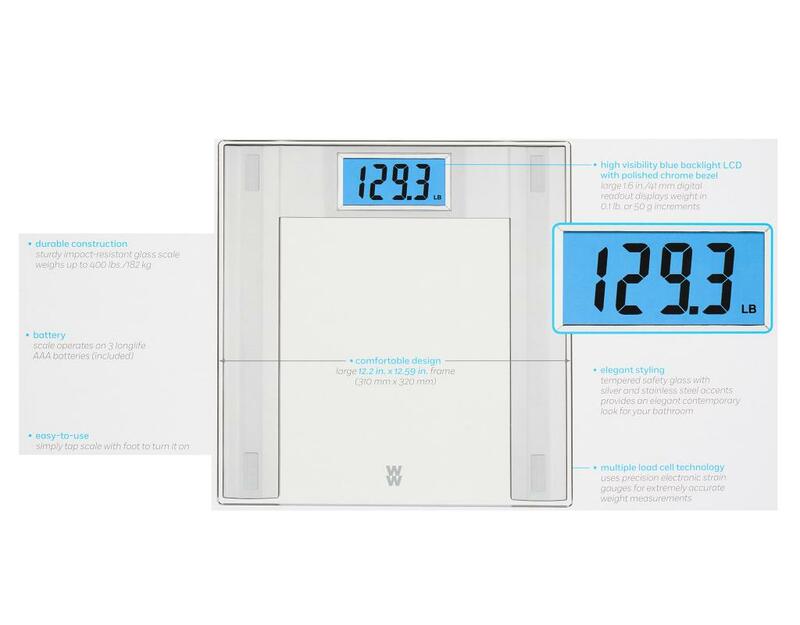 The extra large 1.6 inch easy-to-read LCD digital display gives you the comfort of viewing your weight with ease.